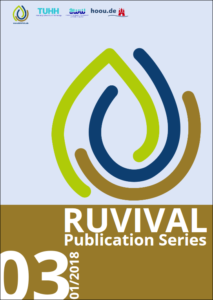 RUVIVAL Publication Series Volume 3 is Out! New year calls for a new publication: we have just released RUVIVAL Publication Series Volume 3! This Volume is concerned with the synergies between ecological sanitation and sustainable land management. It discusses different responses, methods and alternatives, as well as the corresponding difficulties and limitations to increase water efficiency in agricultural irrigation and to promote ecological sanitation practices. The synergies between these two fields are in this case realised through the usage of urine as a fertiliser for non-food uses or alternatively by recycling nutrients from excreta in a Terra Preta Sanitation system. 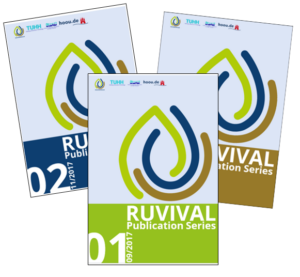 Read RUVIVAL Publication Series Volume 3 here. This volume is also available for free download via the Library of Hamburg University of Technology. Find an overview about all published volumes here.